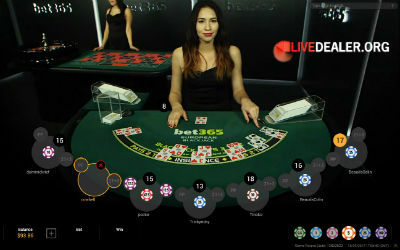 bet365 is a full service gambling organization offering sports betting, RNG casino, poker, bingo and at bet365 live casino an impressive suite of live games. They are one of the world’s largest online gambling groups with millions of customers worldwide. 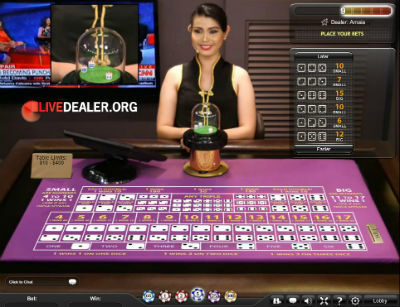 They offer a comprehensive range of live dealer games (see below), live streamed from Playtech studios in Europe and Asia. bet365 have been very enthusiastic adopters of live dealer games. 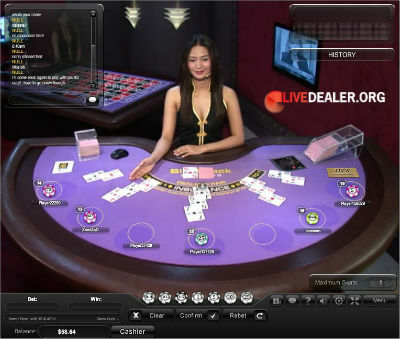 They were one of the first European brands to offer live dealer games. They then became the first to offer their players dual studio access (tables from both Playtech’s EU and Asian based studios). 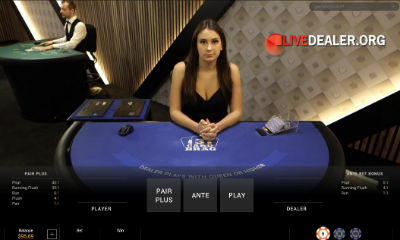 They can also claim to be the first Playtech-powered live casino to launch private, casino branded live tables. Their eagerness to remain at the forefront of this rapidly developing category is still seen today. If there is a new game or improved platform feature rolled out by Playtech, bet365 are invariably among the first to bring it to their customers. In addition to tables in the general floor area, bet365 have dedicated, branded tables in their own area of Playtech’s premises. Also offered Unlimited blackjack. This is a ‘one to many’ deal. No limit to the number of players who can play the one table/dealer. Many live roulette tables to choose from at bet365. La Partage rule does apply on all French Roulette tables. Aim of the game here is to beat the dealer’s 3 card poker hand. Read more about how to play Playtech’s live 3 Card Brag table here. 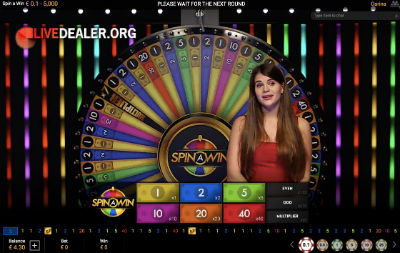 Playtech’s live Big Money Wheel game. If you number comes up you win a payout equal to that number (‘1’ pays even money, ‘5’ pays 5 to 1 and no on). Accessible via bet365’s mobile website, or their App Store App (UK residents only) are their live games developed for iOS devices or Android phones/tablets. There’s a lot to like about these games. 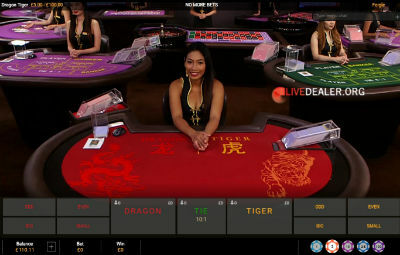 If the aim of live dealer gaming is to replicate the real in casino experience, albeit via remote play, then Playtech’s live games are just about the best in the business and bet365 have adopted every bell and whistle available. very engaging dealers…if you become enchanted, you won’t be the first! As in the EU studios you can choose between standard baccarat payouts, or ‘No Commission’ payouts. Side bets are offered on all tables. Unlimited blackjack table also offered. One thing you may notice, is that the ball track on this wheel produces a much faster spin than it’s European studio counterpart (ie quicker ball drop). Simplest of games. Dragon & Tiger positions each get 1 card. Highest wins (Ace is low). Dragon and Tiger wins pay (1:1). Tie pays 10:1 (higher than most other live dragon tiger games, which pay 8:1 for the Tie win). Inside the Emperor Room you will find a number of live baccarat tables (standard layout, mini table layout, VIP allowing card peek) and a roulette table. Dealers are native Mandarin speaking. As you’d expect from an operator of their size, bet365 offer a pretty extensive list of account currency options, and the site may be viewed in a range of languages. Deposit and withdrawal options are comprehensive. With over 200 games, bet365 gets my pick everytime. Arguably the leading Playtech casino in the market with alot of new releases being seen here first before any competitors, ensuring that players receive a truly first class experience playing only cream of the crop games.